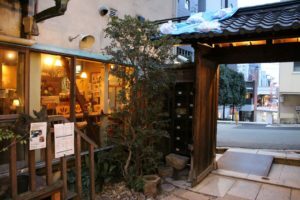 Discover A Little Neighborhood Gem in Osaka: Karahori! Have you ever been to Karahori? 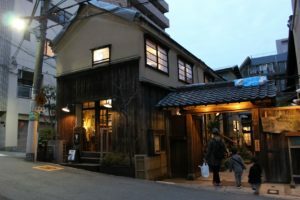 Located between Namba and Osakajo, and only a 1-minute walk from Tanimachi 6-chome station, Karahori is the perfect neighborhood for those wanting to take a break from the busy streets and bright lights of Shinsaibashi. Karahori literally translated means “dry moat”, a moat being a wide and deep ditch, usually filled with water, which surrounds a fortified place, such as a castle. Karahori dates back to the time of the powerful samurai/general/politician, Toyotomi Hideoshi, in the late 1500’s. In those days the castle area of Osakajo was larger, and it’s moat reached as far as today’s Karahori shotengai. The shotengai is like many others in Osaka, but prices here are cheaper than the better known Tenjinbashisuji shotengai. 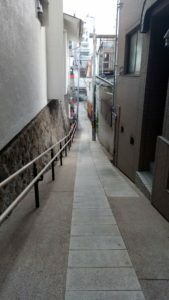 The Karahori shotengai is only about 600 meters long, but if you adventure outside the shotengai you will be pleasantly surprised by the quaint and narrow winding streets as well as charming old buildings. 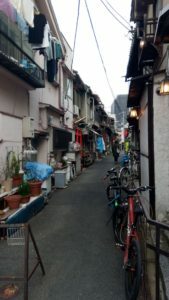 Unlike many other areas of Osaka, Karahori suffered only minor damage during the 1940’s, so it has kept several old houses intact. Many of these historical houses have been renovated and turned into coffee shops, clothing boutiques, art galleries, and other businesses. The best way to explore the area is to just allow yourself to get lost. 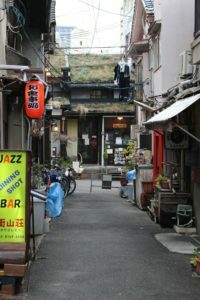 Don’t hesitate to go down a narrow street, it could take you to a historical home, a shrine, or a gorgeous little shop. One such mall not to miss is named Len. 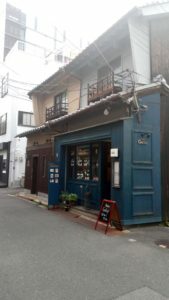 This beautiful historical home, originally built in the Meiji period, has a chocolate shop (try the hot chocolate with kinako! 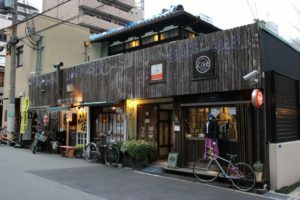 ), crêpe café, bicycle rental company, rentable gallery, leather bag store, kimono school, design shop, and a Japanese health food restaurant. 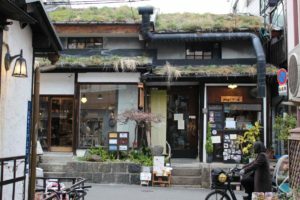 Another such micro mall is called So, a charming house with a roof covered in grass. In So, you’ll find a café, kimono store, kimono bar, okome (rice) café, gallery, hair salon, tapas and pinchos bar, Japanese restaurant and a few more shops. 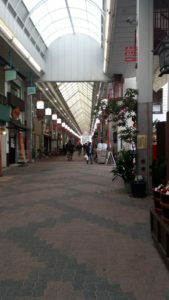 Why not take an adventure to Karahori and discover this little gem of Osaka !! ***Interesting News*** – What Pyramids Are Really Used For!